The Master Grande Ultra Thin by Jaeger-LeCoultre - with or without date - is a timeless piece of design, one of those watches that you never get tired of wearing. The latest version of the Master Grande Ultra Thin Date is characterised by a champagne dial with sunray-brushed finish, a colour that enhances the distinctiveness of the timepiece. The dial is completed by Dauphine hands, applied hour markers and the small date aperture at 6 o’clock. 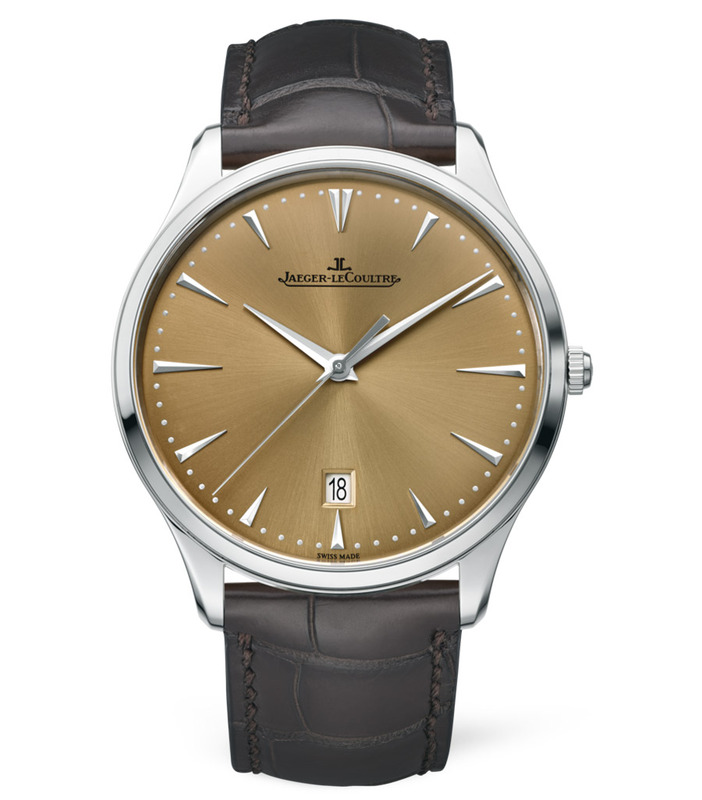 The stainless steel case - perfectly proportioned with a diameter of 39 mm and a total thickness of 7.45 mm - houses the Jaeger-LeCoultre manufacture Calibre 899/1. 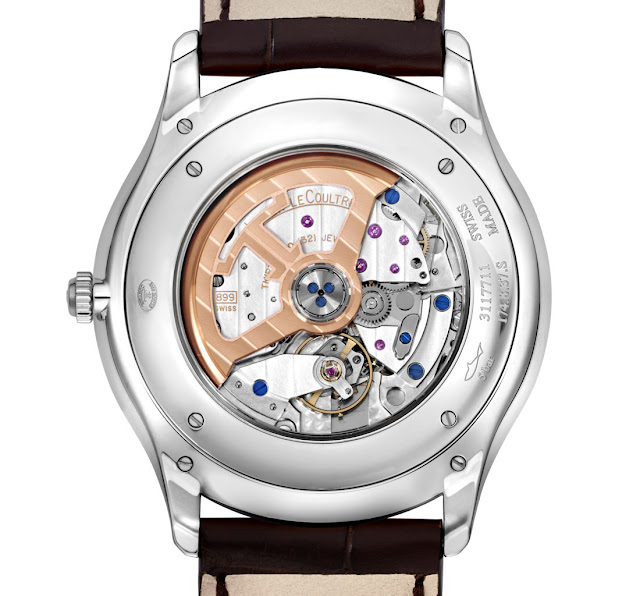 Visible through the sapphire crystal case back, this 4 Hz (28,800 vph) self-winding movement contains 219 parts and guarantees 38 hours of autonomy. 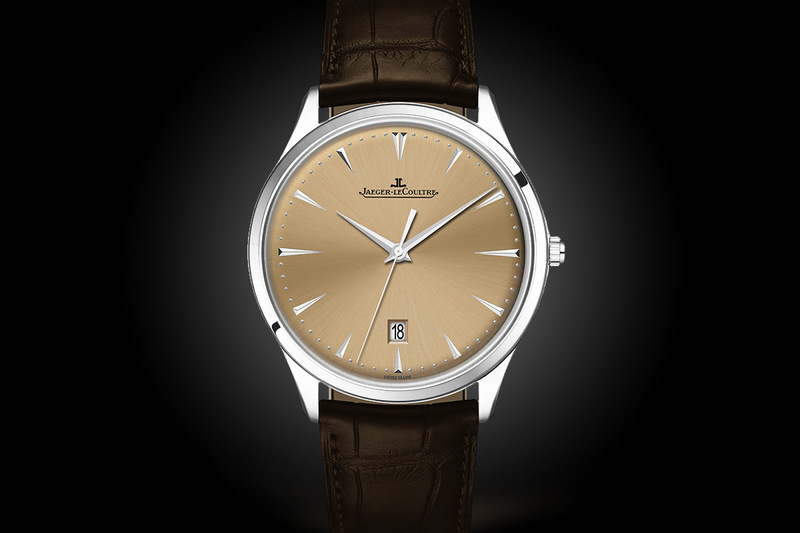 Jaeger-LeCoultre Master Grande Ultra Thin Date Champagne Dial. The latest version of the Master Grande Ultra Thin Date is characterised by a champagne dial with sunray-brushed finish, a colour that enhances the distinctiveness of the timepiece. 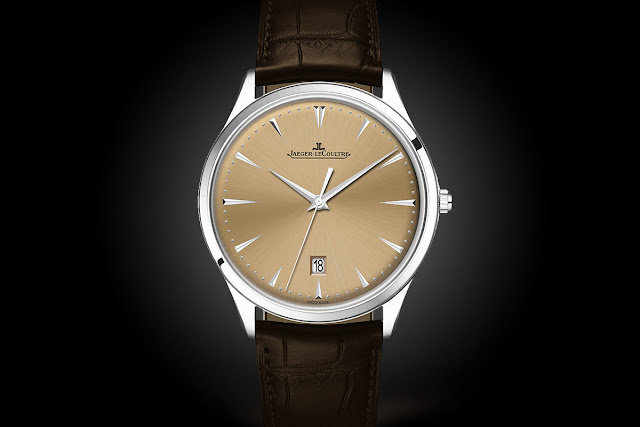 The elegant Jaeger-LeCoultre Master Grande Ultra Thin Date with Champagne dial (ref. 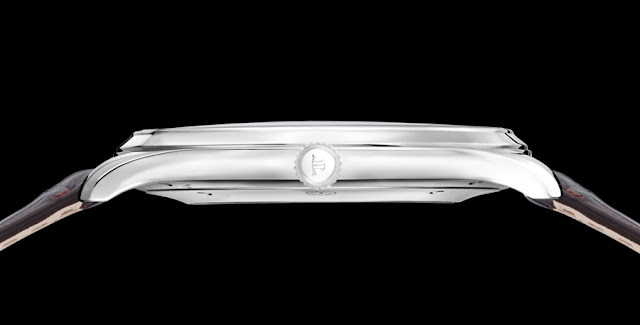 1288430) has a price of Euro 7,650 / US$ 8,100.